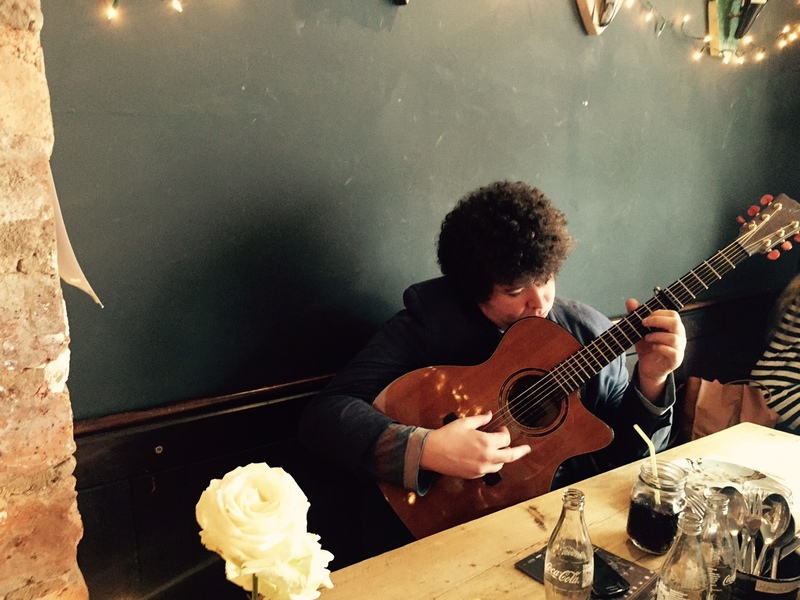 Bit of an impromptu pre-weekend post here, but we couldn’t let another day pass without mentioning the immense talent that is Chester musician Jonathan Coley. We just happened to be in the fab Harvest Moon Espresso Bar in Northgate Street today when we heard the voice of an angel singing and playing the guitar from a corner table. So one quick question to our lovely interviewee Danielle de la Wonk* later, and we discovered who this enchanting voice belonged to. A huge thank you to Danielle and the very welcoming Harvest Moon peeps for introducing us to Jonathan – one of the best musicians and singer songwriters in Chester and way beyond. More from Danielle on the wonderful Harvest Moon open mic night soon. You can find out more about Jonathan’s music – which encompasses folk, soul and blues – via his website. He runs an open mic evening at Telford’s Warehouse and is playing there next on the evening of Sunday 17 May. Catch him live while you can – this man is going places. * Danielle de la Wonk is part of a team of passionate creatives behind a once fortnightly open mic event held on a Sunday at the Harvest Moon Espresso Bar. We think it fair to also describe her as an all round creative writing whizz and lovely person. Next open mic event on 17 May. More on this soon.